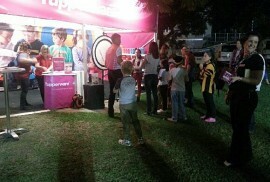 Satisfied clients, successful events, that is our aim at QEH. 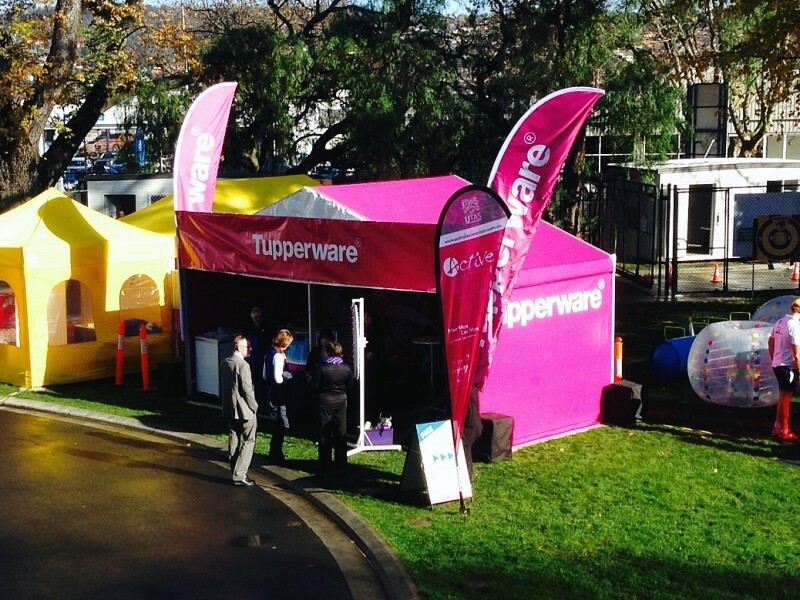 Over the course of a year QEH have numerous satisfied clients and countless successful events, however some are more memorable than others. 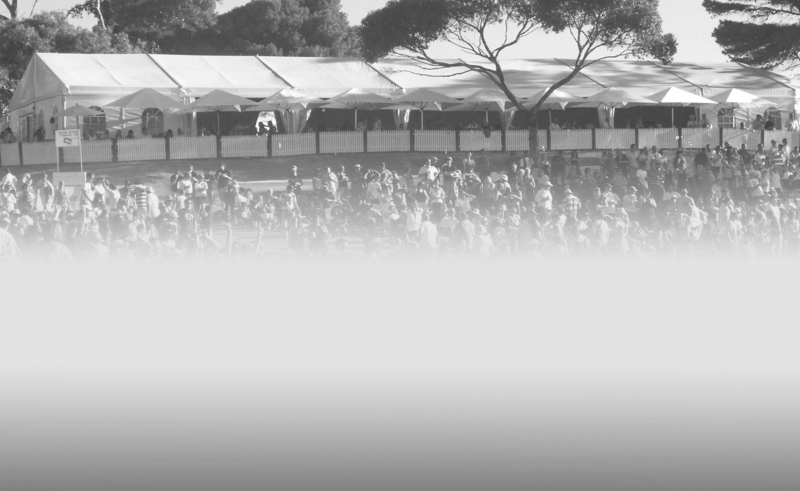 We remember some because of the sheer wow factor of the end results, others because of the difficulties that were encountered and overcome, and still others because of a combination of these factors. 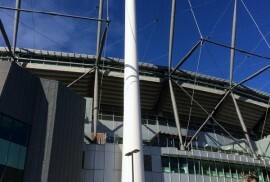 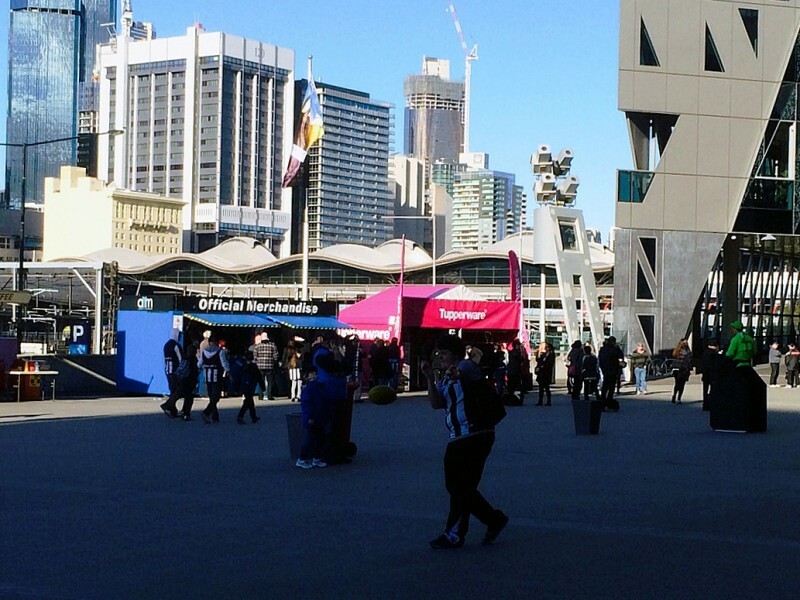 around Melbourne at various AFL matches and grew to over 30 Australia wide and finally concluded at Federation Square with the AFL Live Site in the week leading up to the Grand Final. 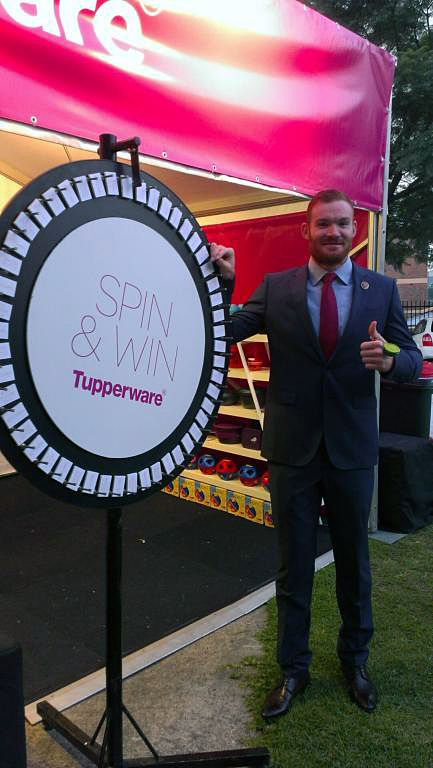 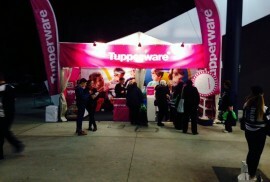 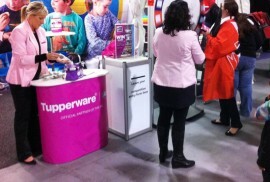 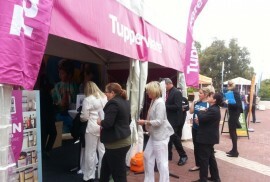 Tupperware were very particular on the way everything was produced and installed for each event. 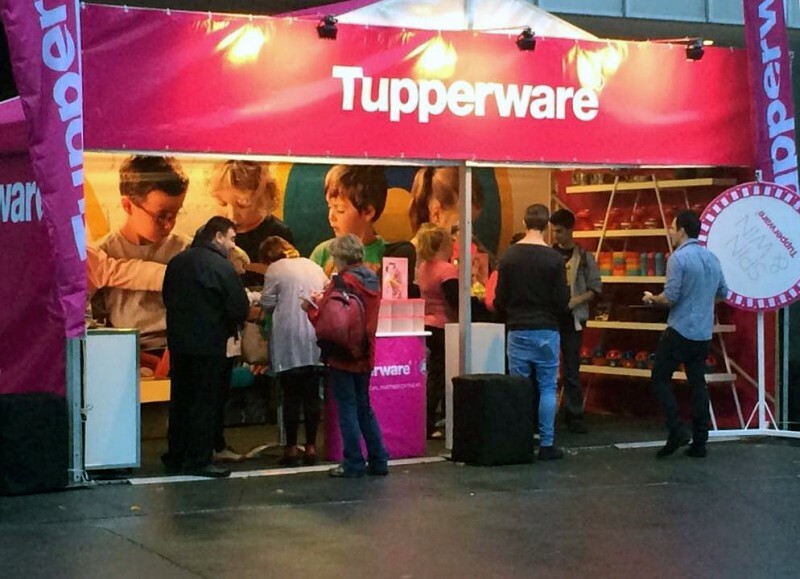 No compromises were allowed. 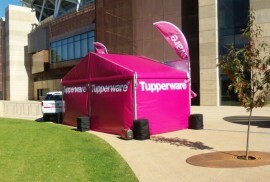 At first a single Marquee, in the bright Tupperware pink, was printed up and used. 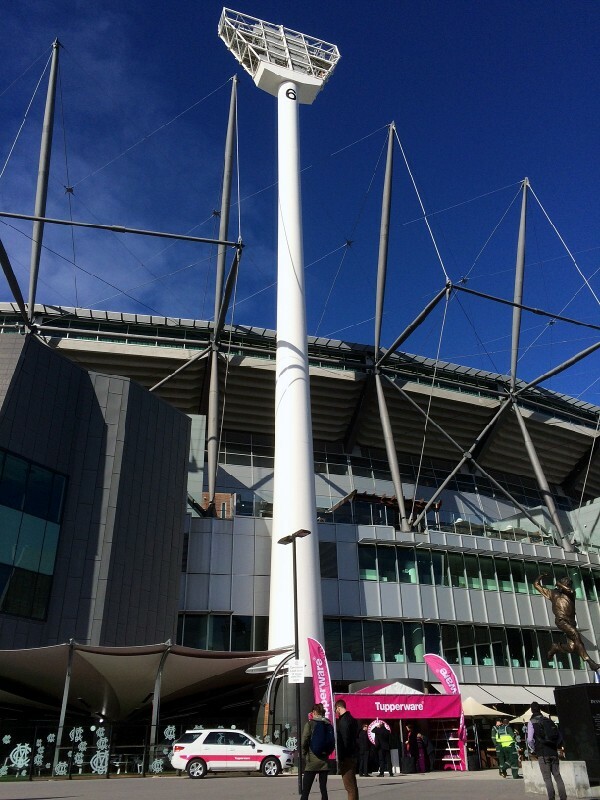 With the success of these first activations more dates and venues were soon added into the schedule, including our first foray to New Zealand for the ANZAC Day match in March. 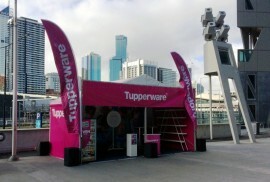 Two more Marquees were produced to cope with multiple activations/venues around Australia at any given time. 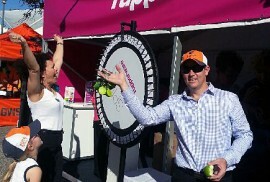 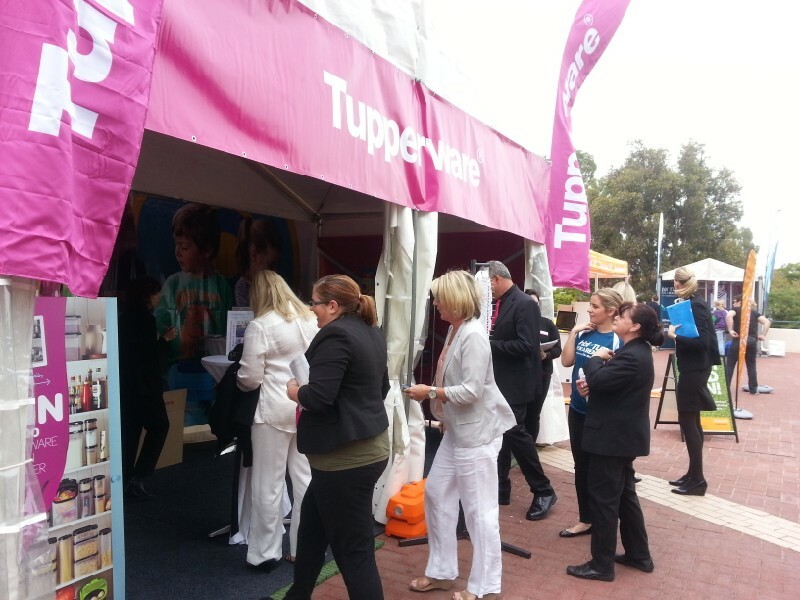 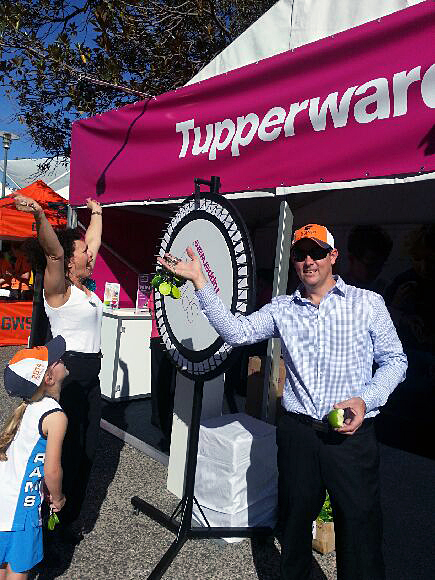 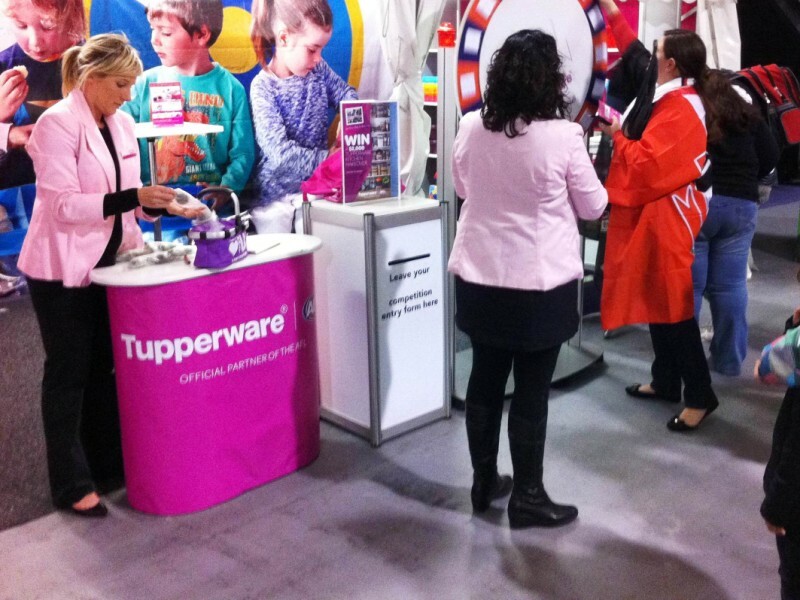 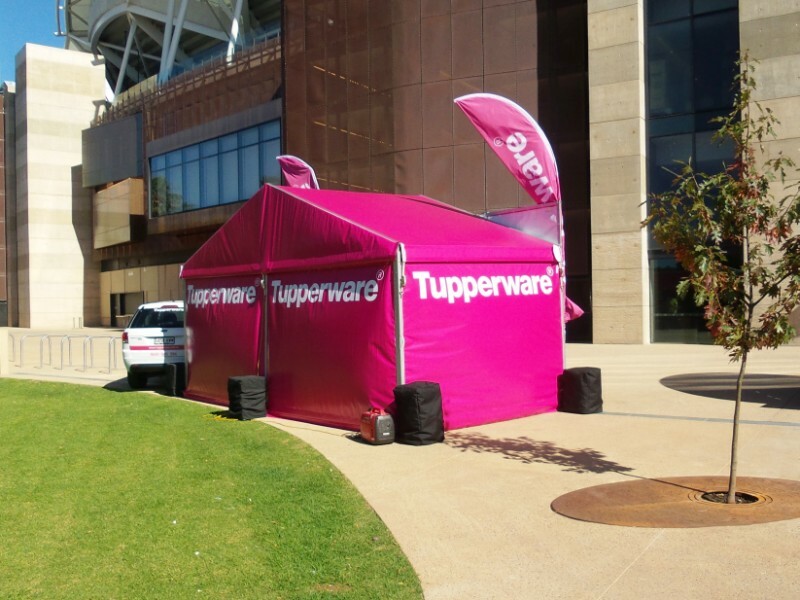 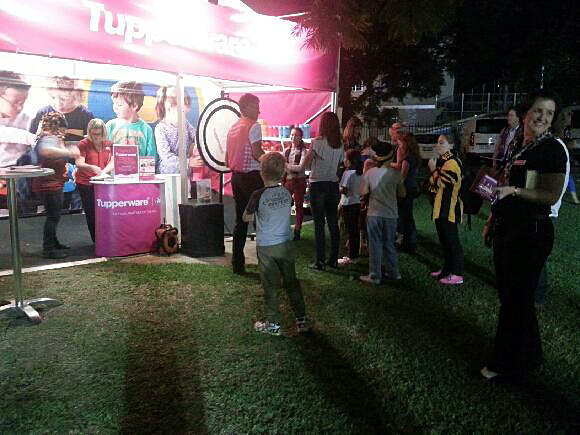 Chances are, that if you went to an AFL game you have seen the pink Tupperware marquee, it was kind of hard to miss. 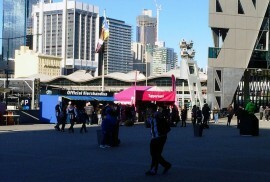 While you may think that after repeating the same activation so many times it would become easy, and I suppose it did to a certain extent, but at each venue we had different people to deal with, different venues and restrictions to work within, and of course some wonderful winter weather. 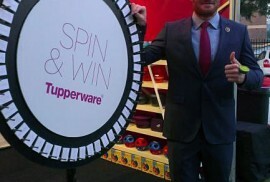 Some venues were much harder than others! 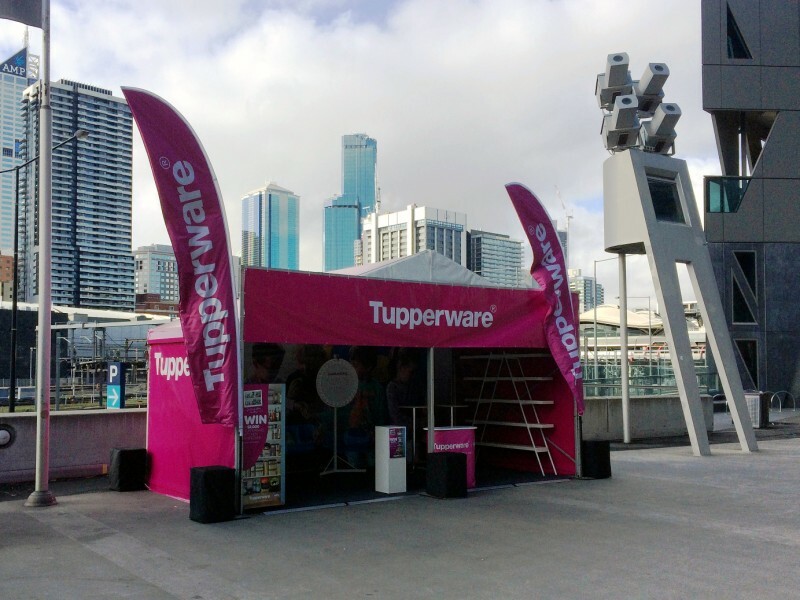 Logistics, now that is a word, the logistics involved in moving the Tupperware activations around Australia took coordination and then some. 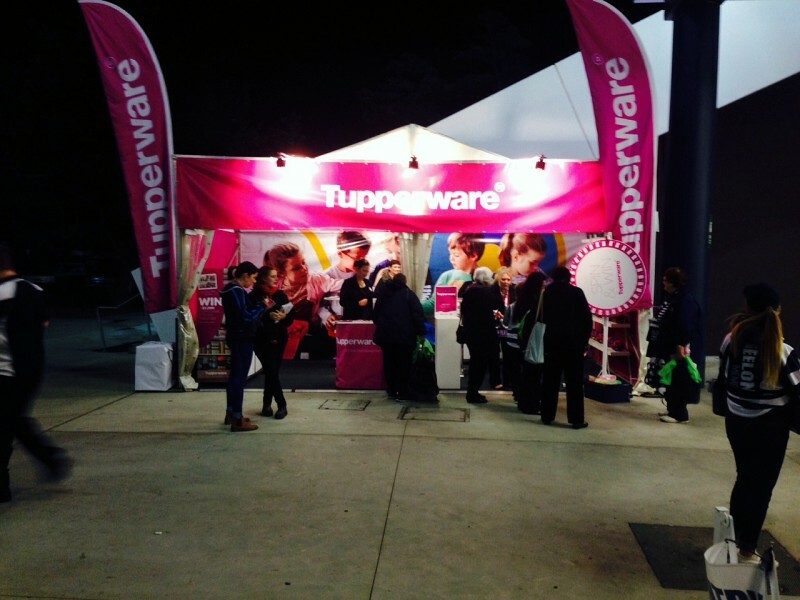 Each week freight movements, flights, accommodation, venue restrictions – it felt like we ate, breathed and slept Tupperware! 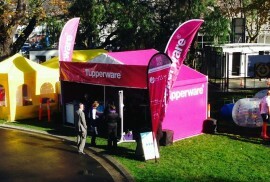 Never did we tire of Tupperware, in fact they became a member of the great QEH family. 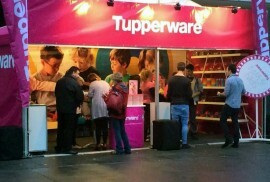 QEH look forward to continuing the partnership with Tupperware in the future, they were a wonderful company to work with whose philosophy of quality mirror our own.